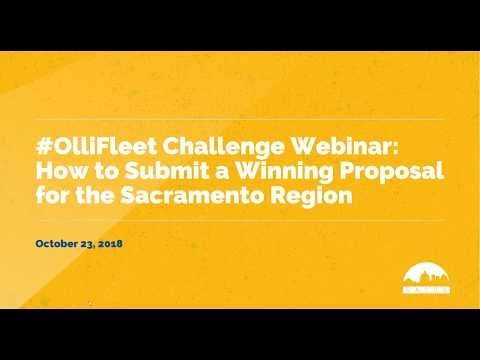 The #OlliFleet Challenge will bring a three month AV Shuttle pilot to the Sacramento region. Listen to this recorded webinar to learn what makes a competitive application. The challenge invites municipalities, campuses and designated districts to propose a three-month, local use for Olli, the world’s first co-created, self-driving, low-speed, electric shuttle. The first challenge is open to entries from the greater Phoenix and Sacramento areas. Two winners of this challenge will each receive a pod of Ollis sized to their proposed use case and location before the end of the year.